Description: Clover White Plastic Button Hole Cutter is a cutter used for opening buttonholes or small cuts on fabrics. 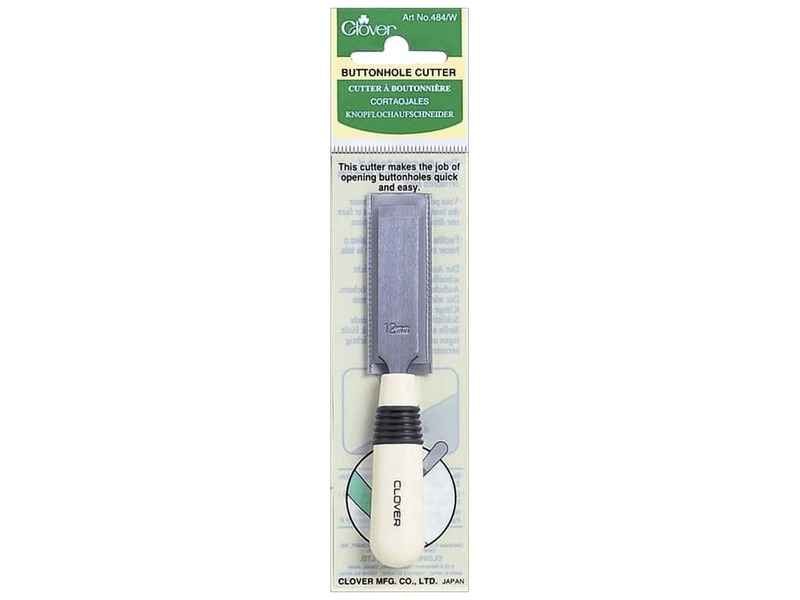 Steel chisel tip blade and resin non-slip handle. Tool measures about 5/8 x 4 1/2 inch.